This recipe is based on a rice dish my friend Nuno gave me from his homeland of Portugal. I've adapted it using quinoa and a few extra seasonings. You can of course substitute the quinoa for basmati rice if you;d prefer. Enjoy! Season with sea salt and ground/cracked peer. 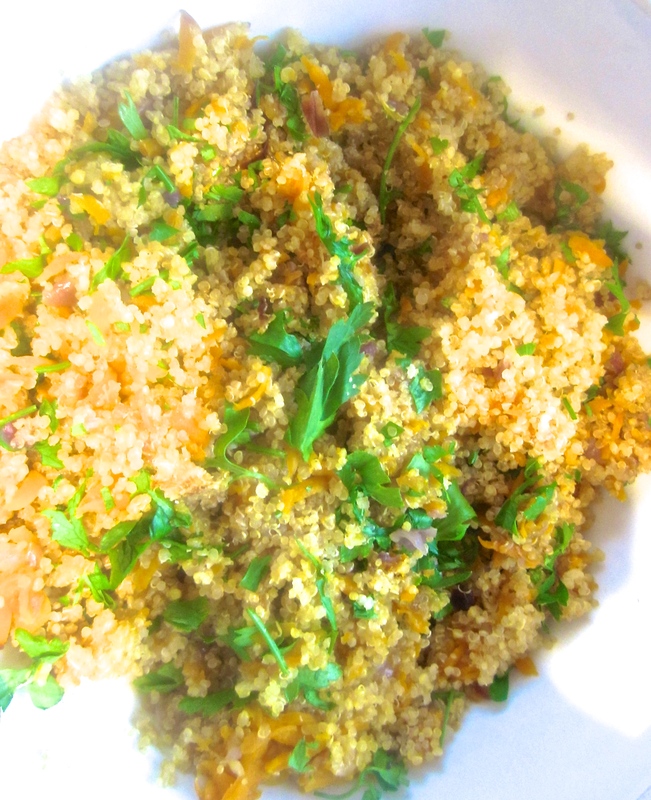 Share the post "Quinoa De Cenouras (Carrot Quinoa)"